A picture says more than a 1000 words and pictures of your inventory can help increase your sales considerably. Buyers like to see what they are buying - especially if a book is quite expensive or rare. Having pictures of your books online also allows you to participate in other special promotions throughout the year. You will also be able to showcase your books in the Rare Books Room, which we promote regularly in buyer newsletters. For further information on uploading pictures click here! Ensure you have described your inventory accurately and have used the description to its fullest, offering buyers all the information they need to know. A more extensive description, along with a good picture, can really make a difference to a buyer when deciding whose book to buy. Additionally, your books will then receive more search hits as not only titles and authors are matched but also words within the book descriptions. The more information you include, the better chance you have of your books being found. This is especially true of books with no ISBN or whose titles do not always reflect their contents. You can give a comprehensive overview of the bibliographic information, the condition of the book and also part of the synopsis, for example. Why is synopsis information important? For those buyers who do not know exact book titles, and where the title of a book does not really reflect the contents, buyers will be searching by keyword for a genre, a character, or the topic of the book. They will only find your books if you have that information available. By including part of the synopsis, a buyer will be more likely to find your books in their searches. You can add information to your book descriptions at any time! Keywords - are another tool for making your books more visible in the search results. Keywords should be as book specific as possible. Using generic words, like 'history' for example, will mean that your book(s) appears as one of several million in the search results and it becomes difficult to find your book(s). By being more content specific, for example - 18th century history Devon Cornwall - you will greatly reduce the number of search results and help the buyer get to your books more quickly. As the search runs a full text search you should use words different to those used in your book description. You can even add French, German, Spanish and Italian keywords to your book data; by doing so you will reach many more buyers abroad. You can make use of our translated Key Words Facility for tips on German and French keywords. Signed Books, First Editions etc. – Ensure that in your book descriptions you have also included special features, such as signed or first editions, so that buyers looking for these kind of books can find yours in the search results. Buyers can refine their searches using certain attributes - whether first editions, a hardback or a copy signed by the author. You can view an example of this here. Include publisher information (Publisher name, place, year). 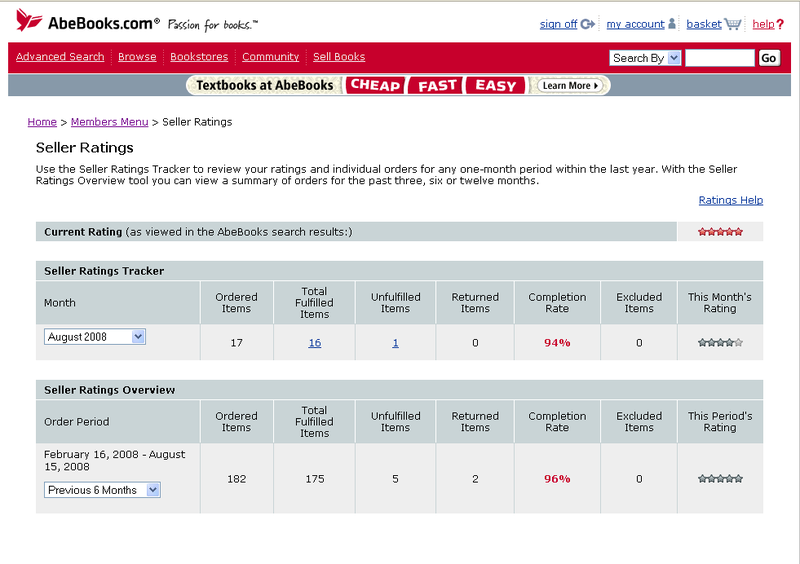 Your books will then appear in search results where buyers filter down to year of publication. For new books always enter the ISBN - We can then expand on your book data using our stored bibliographic data and recommendations. Cataloguing your books correctly, not only makes it easier for buyers to find your books in their searches, but also allows us to include your books in any buyer communication that we do. We send newsletters to various different buyer groups and we are always interested in bookseller content that we can promote to attract buyers. Don't forget that we can only promote books where a good picture of the book is available. For further information on optimising your book data, see our book data information and format recommendation post here. While many buyers use the search function to find the books they looking for, many buyers also use browsing to find books. 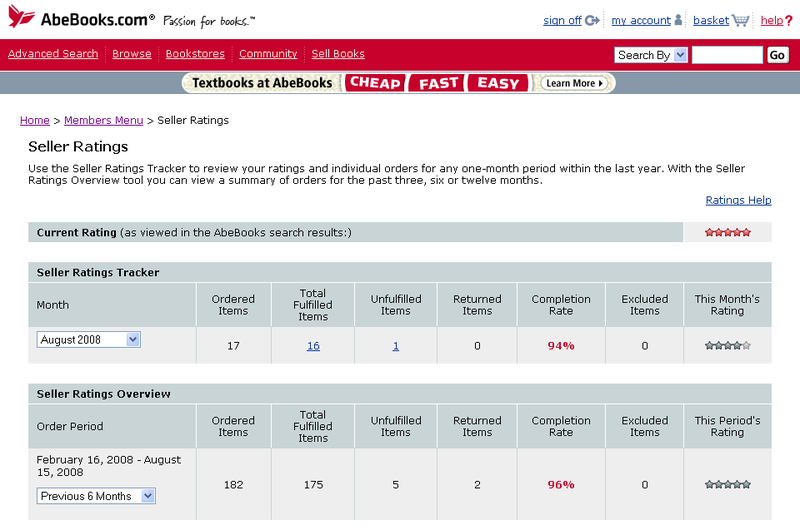 Buyers have two ways to browse on AbeBooks by AbeBooks Category or Bookseller Catalogue. By creating catalogues for your books, buyers will not only be able to search your books but also browse your books by subject. You can thereby help them to find and buy more of your books. The appearance of a book within a category provides search engines with a path through which that book can be found. This means that if a buyer searches for the book on a search engine such as Google, your listing will be able to be found. Taking the time to categorise your listings will give you a strong competitive edge against those booksellers who do not. Removing sold books, which have sold in the store or on other platforms. Updating the book's description if you find it is not accurate or correct. Adding new books with new book id numbers; this will generate wants matches should buyers be looking for that particular book. For further information on updating your inventory, please choose the method you use here. Regularly check to ensure that your shipping rates and speeds remain competitive. Buyers will want to know exactly when they are likely to receive their orders. Ensure that your shipping rates and speeds really reflect the services you can offer. If you do not include a buyer's country in your shipping matrix, the buyer is then shown your International Rate, which could be higher than what they would need to pay. Adding neighbouring countries, such as Ireland or other European countries, to your matrix will give buyers the correct shipping rate and speed and you will have an advantage over other sellers who have not added those countries to their matrix. Free shipping - You may wish to consider offering Free Domestic Shipping - giving buyers an added incentive to order from you. Your books would then be included in our Free Shipping Room where buyer can search exclusively through those books. Personalising your Storefront can really help buyers to gain a deeper insight into your bookselling business and through this gain trust and loyalty that will lead them back to your shop time and time again. One of the Storefront features is the ability to upload your own photo, image or logo to the page. This could be your business logo, a photo of your shop, your books or even yourself... It's entirely up to you. Add the URL of your Storefront in all your email communication. By doing this you provide the buyer with quick and easy access to your book offers. Further information on how to customise your storefront please click here. Reply to all buyer enquiries within 2 business days. Simply responding to buyers greatly helps build buyer trust. If you use an email service such as Microsoft Outlook or Google Mail, you can filter or search your AbeBooks emails to help differentiate between order emails and buyer enquiries. When going on holiday for 3 consecutive days or more, use the Vacation Tool to temporarily remove your books to prevent unfulfilled orders and disappointed buyers. Review the "special instructions" with every order to see if the customer has any additional needs. Be customer-focused in all of your interactions with your buyers. Provide refunds in a timely manner. You can process a refund for the buyer up to 90 days passed the processing date. When you receive a book back, ensure to complete the return so the buyer is refunded. Review Your Book Count - Your book count is usually an important factor in terms of visibility. The more books you have online, the more chance you have of buyers seeing your books. If you have the inventory to do so, we always recommend uploading at least 200 books. You can also optimise your book count for the monthly subscriptions rate you pay. For example if you are paying £25 to list 2,000 books, you could double your inventory for the same monthly rate. Payment Methods – By offering buyers a wide range of payment methods, you can reach more buyers who prefer to not pay via credit card. Your accepted payment methods will be displayed on the book details pages. Promotions - By holding a book sale you can promote your store and your inventory, which will increase sales. For more information about the requirements and advantages please click here. 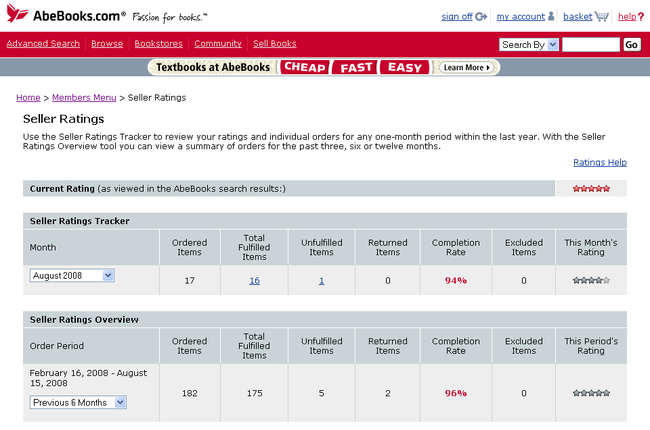 One of the best ways to attract new buyers is with a high Bookseller Rating. We encourage all listing booksellers to work on improving their Bookseller Rating, which is displayed to buyers on each listing. For more information on managing your inventory, please click here. We hope these tips are helpful for you! If you are not sure of the correct return reason, or if you are having trouble with your inventory or account, please do let us know so that we can immediately help, and keep the negative affects to your Bookseller Rating to a minimum.